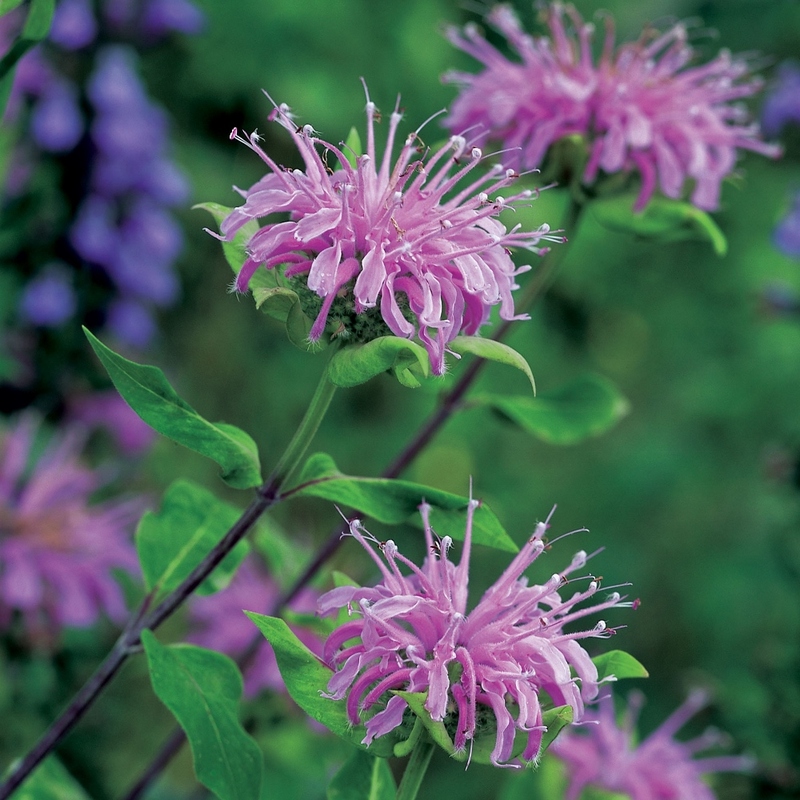 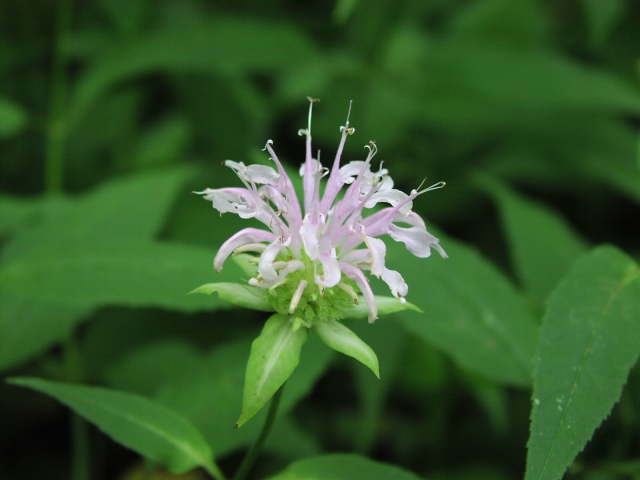 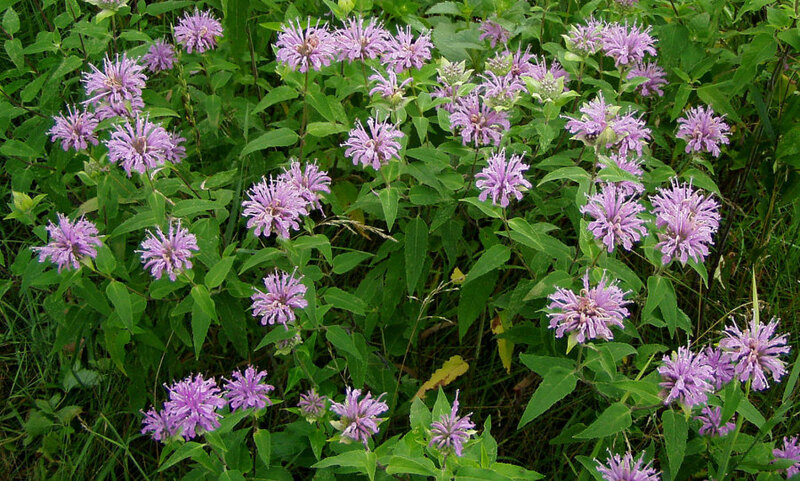 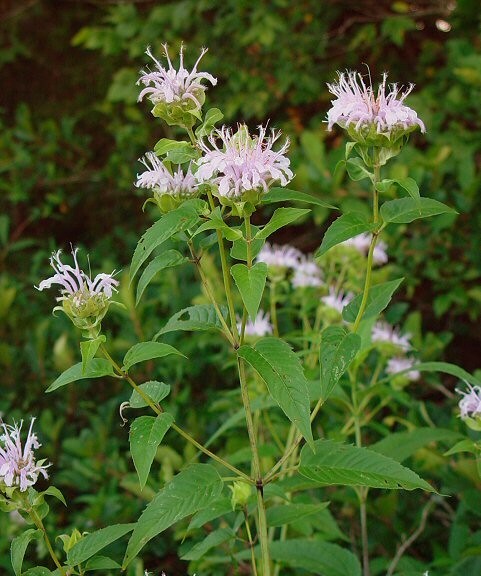 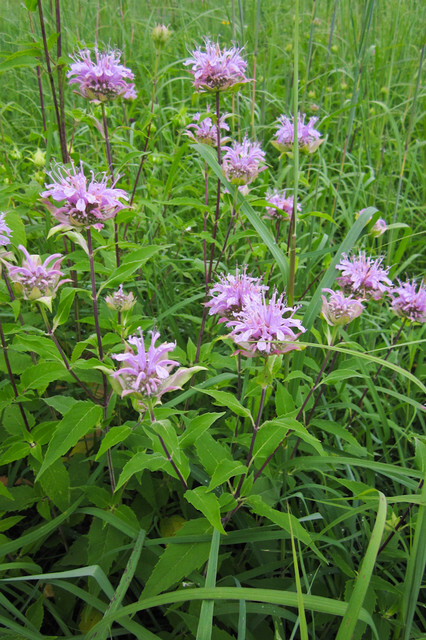 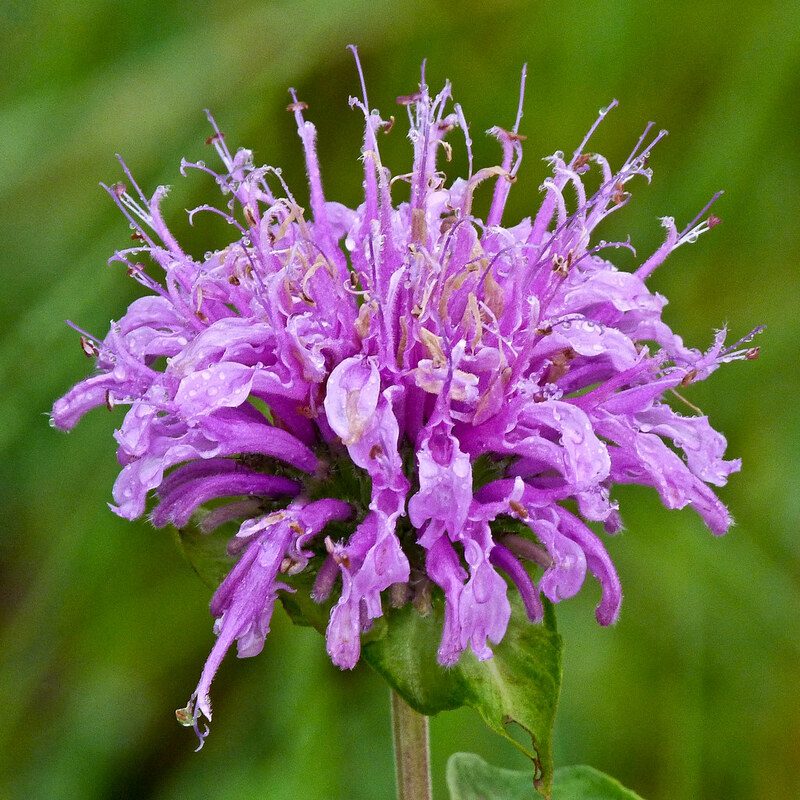 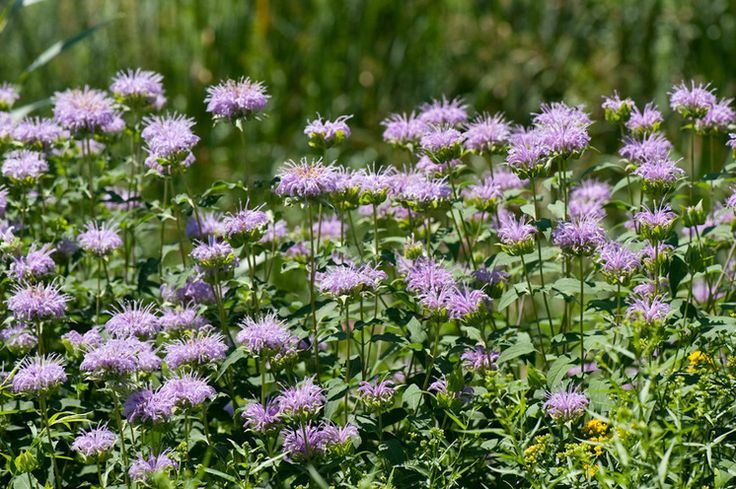 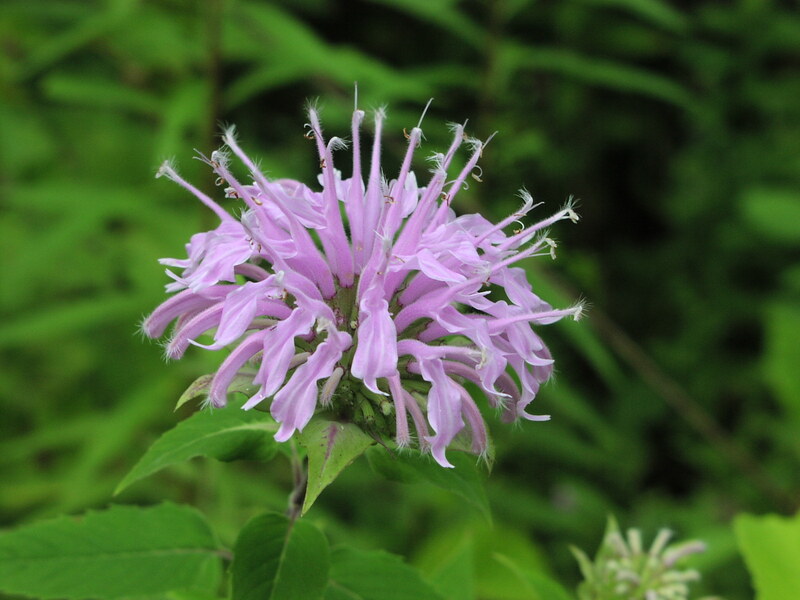 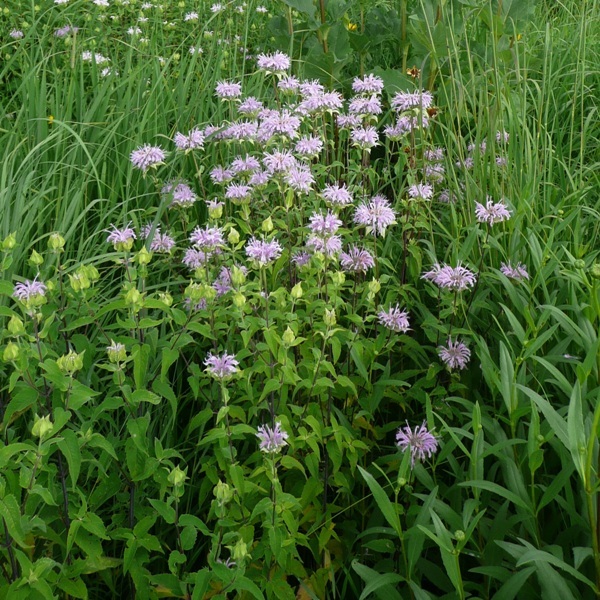 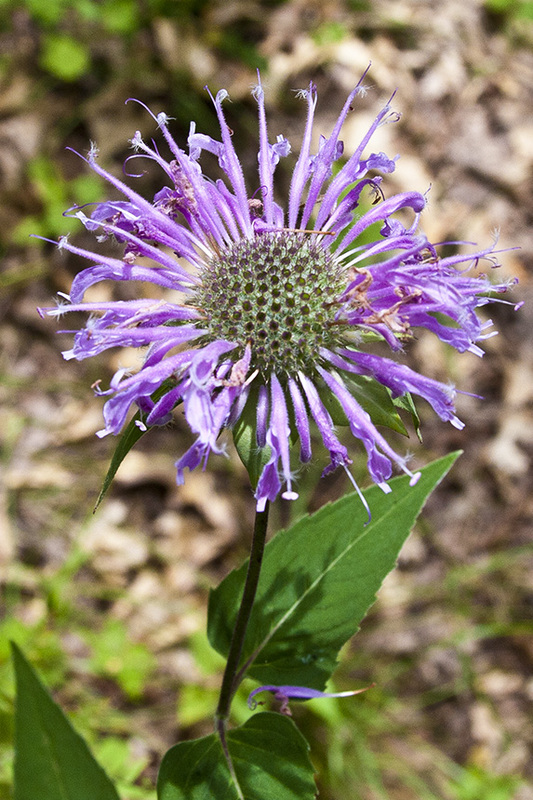 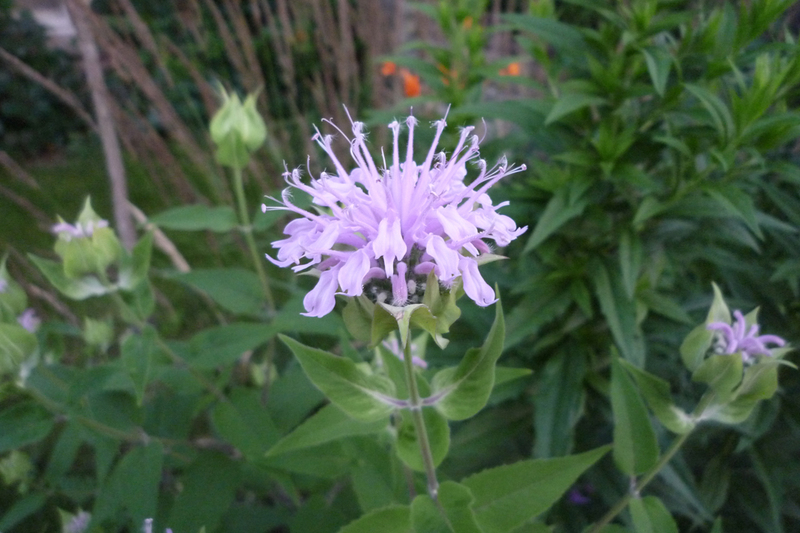 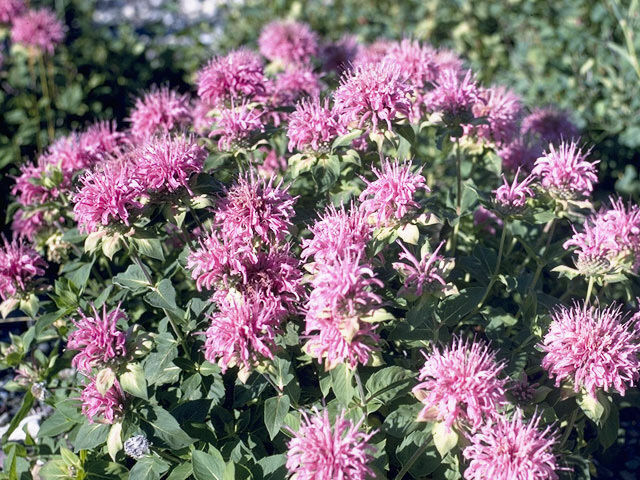 Monarda fistulosa, the wild bergamot or bee balm, is a wildflower in the mint family (Lamiaceae) widespread and abundant as a native plant in much of North America. 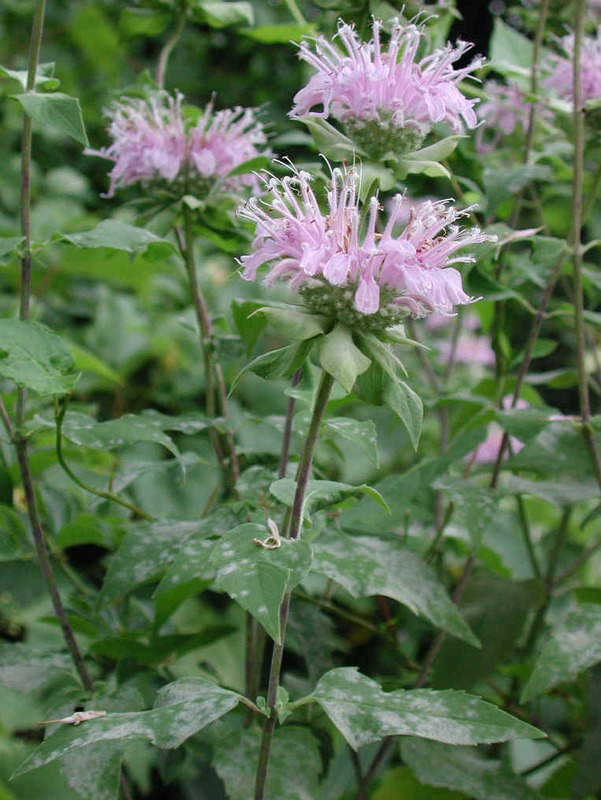 This plant, with showy summer-blooming pink to lavender flowers, is often used as a honey plant, medicinal plant, and garden ornamental. 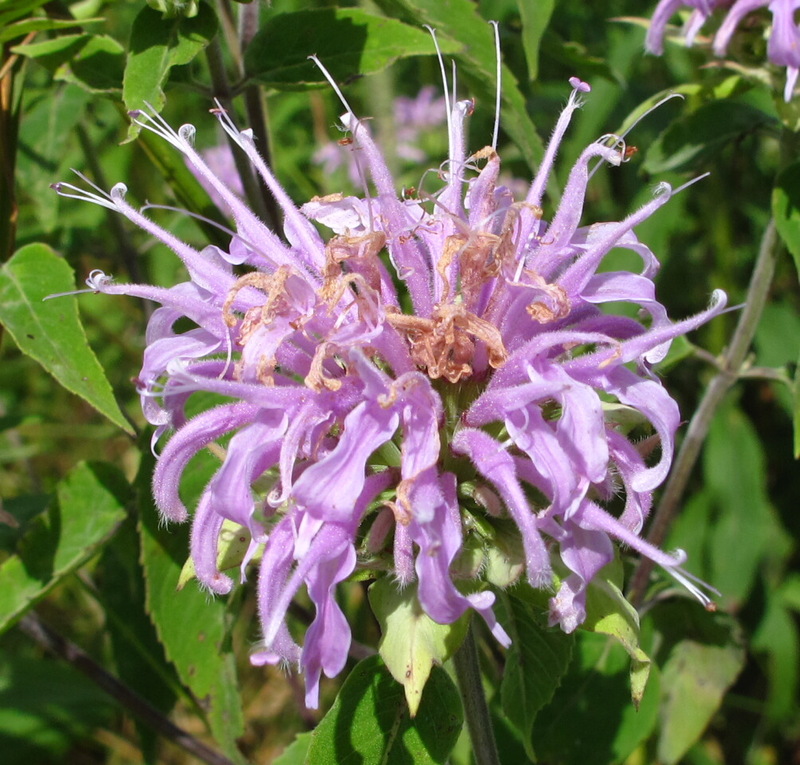 The species is quite variable, and several subspecies or varieties have been recognized within it.